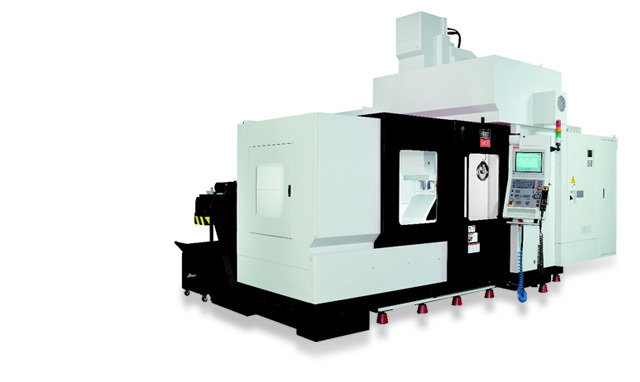 LONG CHANG MACHINERY CO., LTD. manufactures milling machine, machining center, roller guide way, box way, double column machining center in Taichung, Taiwan. 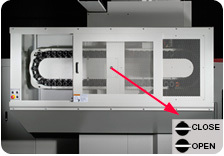 The enlarged saddle in 14000mm and with 6 blocks at Z axis reinforce cutting rigidity. 2 roller type linear guideways are on the face of bridge, and the 3rd is loacted on the top to offer excellent holding of headstock. Double nut C3 class precision ball screws are used on all three axes. Direct drive from servo motor to ball screw. Ball screws diameter: X:63mm / Y: 40mm / Z: 50mm. Ripid traverse speed: X:30mm / Y: 30mm / Z: 16mm. Max. table loading: 3000 kgs. 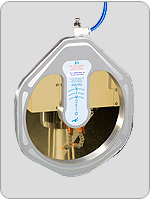 One-piece base with two slots for chip auger at both sides minimizes cleaning time. 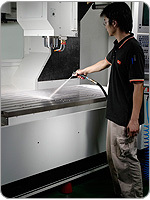 Loading and un-loading tools can be done during machining. 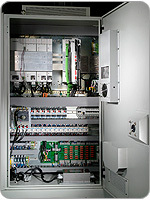 Tool change or tool selection will not be executed while door open for safety consideration. Rotary window can rid the liquid on the front door. 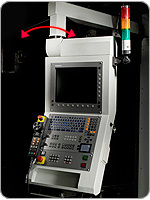 It's the best solution for user who needs to monitor machining frequently. Perpendicular and swing design for user friendly. * Specifications may different according to option accessories and are subject to change without notice. No 52, Charn An E. Rd. TAIPING, TAICHUNG TAIWAN, R.O.C.